The most useful thing in order to enhance the visibility of my brand has been learning how to use Twitter. Twitter provides us the luxury of overcoming geographical boundaries. Through it, we can get our message across millions of users all over the world. I want to guide you so that you are able to disseminate your message via Twitter to millions of people around the world who are looking to hear from you. So, here’s a list of 10 extremely effective tips that can aid you immensely in your Twitter marketing campaign. Guys! The year 2016 is coming to a close. Everyone schedules tweets nowadays. By scheduling tweets, you can ensure that your relevant audience get to know what you have to say incessantly. You can go options that can help you stay in constant contact with your audience even during the night when you are taking rest in your cosy bed. And there is no reasons whatsoever why you should not opt for these facilities. I’m not concerned whether the so called experts like it or not! What really matter is that these techniques are successful. I’ve been employing these methodologies right since I started using Twitter as a marketing tool. Remember that tweets do not remain visible for a long period of time. As a matter of fact, most of the audience are engaged with your tweet during the first few minutes of its post. So, this means that you’ll have to tweet your content multiple times at regular intervals to ensure that your content gains the required amount of exposure. So, technically it’s a numbers game and you ought to win this game by posting tweets in large numbers. Twitter hashtags can help you reach huge audience. See for yourself! Have you ever heard that Twitter hashtag can revolutionize your company’s branding? When you are strategizing about how to utilize Twitter in order to boost your business visibility, you need to think like a human while continuing to be who you really are! This lets your Twitter followers know that the Tweets they are getting access to are not being generated by bots but there are human minds behind them. Hence, if you tweet without engaging your audience or without maintaining your personality, your Twitter account will appear a fake one that is being operated by bots. Do not forget to add your personal touch to your tweets. Share your opinions, your routines, schedules, share your family pursuits etc. In fact, you should do whatever it takes to keep your audience engaged. It won’t do any harm if you humanize your tweets. Be yourself and if it suits you, share your views even if they contradict the majority views. Your divergent opinion can attract more people into the fold of your followers. In addition to getting more tweets, your personal touch will engage more people. People are always looking for those with whom they can relate with and share their experiences. You’ve got to be able to find the perfect balance between promotional tweets and those littered with the touches of your own personality. Humans are greatly attracted towards images. Everyone loves images. As a matter of fact, about three-fourths of people learn through visual content. According to figures revealed by 3M, the brain is able to process visual images 60,000 times faster than text. This is exactly why images are very powerful on Twitter as they are able to gain attention of the followers. There have been researches done and data revealed regarding these things but a vast majority of the internet marketers do not pay heed to these plain and naked facts. A reason that I could think of is that saving an image and then uploading it onto your Twitter stream is a time consuming act. In order to get rid of this issue, I would recommend you to use twitshot – it automatically inserts images from the links. You’ve been trying everything and yet you have not been able to achieve the results you wanted. Does this situation sound familiar to you? Now is the time to take a glimpse at the people that you are following on Twitter currently. Keep in mind that if you are following people on Twitter blindly without any coherent strategy, then you are likely not to get anywhere. You have to ensure that you follow those people on Twitter who are relevant to your scheme of things and are able to engage their audience. Mind you there is not accurate formula to resolve this issue but I can suggest you a tool called Follow Liker (read review here) that can help you out in this regard. This is a simple numbers game. The more you tweet, the more engagements you are going to achieve. I would suggest you to enhance the exposure of your tweets by scheduling their posts at regular intervals of time. You can schedule the posts at an interval of say a couple of hours. In between your own tweets, you can share other people’s contents as well. This is an essential aspect since this way you can develop reciprocal relations with people whose content is being shared by you. When you share someone’s blog post, people tend to respond by sharing your content on their Twitter stream. Focused on the importance of hashtag marketing. This is a great way to gain exposure and enhances the probability of your post being shared by the tagged people. Folks, if you have not pinned a tweet so far on your Twitter’s profile page, then you may well have lost plenty of engagement. It can’t get simpler than this. For my regular readers, this is not something new. I keep on ranting about it all the time! If you pin a tweet, it’s bound to work no matter what! People are always taking a sneak peek at your twitter profile and you ought to cash in on that. Read our small article on how to pin a tweet. If you are keep track of something, you are bound to suffer in the long run! You can’t determine how well you are performing if you do not analyze your twitter streams using the Twitter analytics. Personally, I’ve always preferred to use the free Analytics tool provided by Twitter. It helps me keep a close eye at my Tweets so that I produce what is being demanded by my followers. The analytics provided information such as impressions, retweets, link clicks, profile views and so much more stuff. This is precious data that is being brought to you free of charge by Twitter. 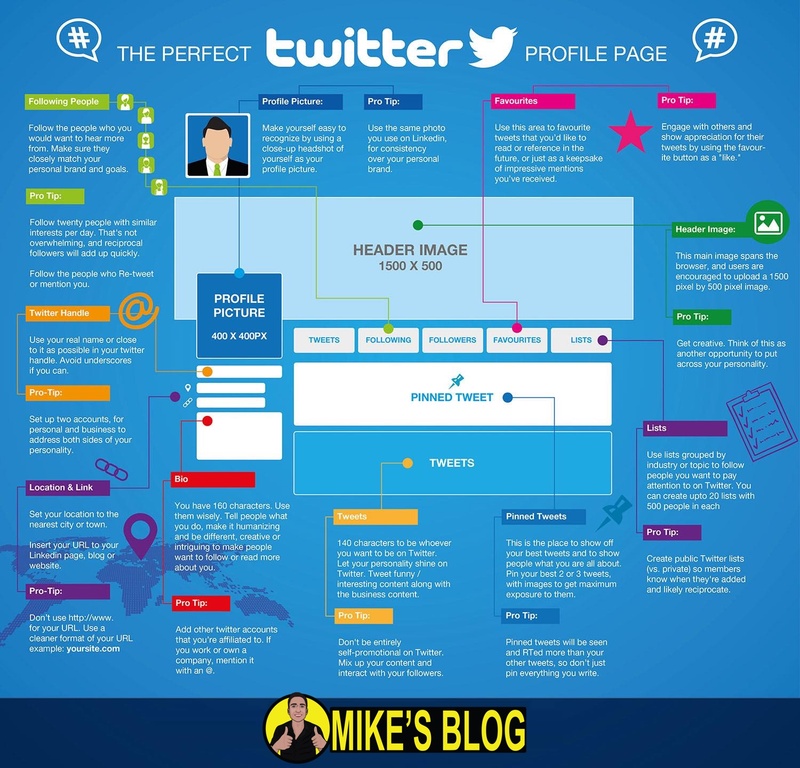 You should take complete advantage of the free stuff and use it to enhance your Twitter campaign. You can access your Twitter analytics by clicking on your Twitter profile display picture in the top right corner and then choosing the Analytics link. That’s not too difficult, is it? Finally, the one technique that is neglected by millions of Twitter users is to say Thank you when your content is shared by others. This creates a relationship of camaraderie among you and people know that you appreciate whenever they share your content on their Twitter streams. What really is cool about this approach is that it never takes much time to say thank you. But since not many people are willing to spend some of their precious time thanking others who share their content, so I presume that they consider it useless and a wastage of their time. This technique helps you stand out from the crowd and it is very easy to reap dividends using this methodology. The techniques mentioned above are some of the tricks that I have been using to increase the exposure of my Tweets. I’ve also shared examples of real human beings doing pretty well using these techniques. I hope that they will be of great help to you and will assist you set your direction right. Do not forget to share with me if you are using other methods than these to get more exposure for your tweets. Drop your comments in the comments section below. I’ll be more than happy to hear from you!